This park complex in the heart of the city is an excellent weekend retreat, at least for a few hours. It’s where the younger crowds come out for a date. There are a number of eclectic attractions. Palm trees sway over shaded avenues coursing through Orchid Gardens of 400 flowers. A theatre houses about 400 people. The amphitheatre is frequently lively with musical concerts or other events. A train car of the old railway Belém-Bragança has been turned into a miniature restaurant. Beautiful feminine statues decorate the grounds, and birds twitter through the air. Definitely try out the buffet at the Pommed'Or kitchen at the park. 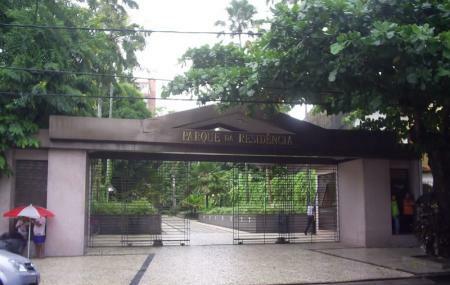 How popular is Parque Da Residencia? People normally club together Basilica De Nossa Senhora De Nazare and Praca Da Republica while planning their visit to Parque Da Residencia.